People interested in the St. Pete Solar Co-op attend an information session. 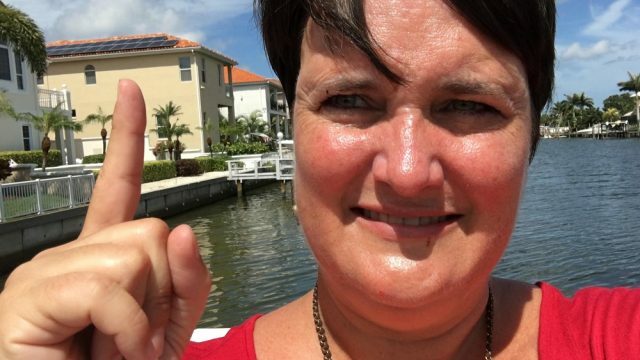 Neighbors in St. Petersburg have formed a solar co-op to save money and make going solar easier, while building a network of solar supporters. 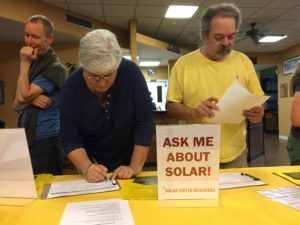 The group is seeking participants and will host an information meeting May 8 at the Bay Pines STEM Center to educate the community about solar and the co-op process. Pinellas County residents living south of State Road 60 interested in joining the co-op can sign up at the co-op web page. Joining the co-op is not a commitment to purchase panels. Once the group is large enough, Solar United Neighbors will help the co-op solicit competitive bids from area solar installers. The League of Women Voters of the St. Petersburg Area, Sierra Club Suncoast Group, the City of St. Petersburg, Chart 411, Southern Alliance for Clean Energy, St. Petersburg Ecovillage, Floridians for Solar Choice, Pinellas County Urban League, University of South Florida St. Petersburg, and the Solar and Energy Loan Fund, are the co-op sponsors.